We’ve experienced a few “lessons learned” with our DIY budget kitchen remodel. I started this project years ago. Back during “Phase I” — I used a “specialty” paint on our cabinets that we ended up not loving that started to yellow over time. Since then, so many other specialty paints have come out designed just for cabinetry. Unfortunately, this means a re-paint is necessary. 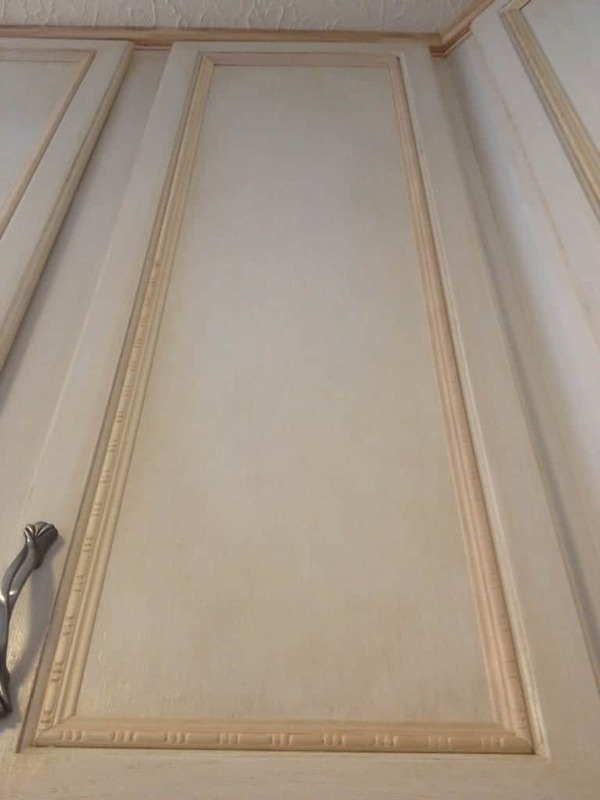 Up to this point, we successfully replaced wood doors with glass, added decorative trim on the cabinet doors, and added molding at the top and bottom. But that’s left us with quite a bit of exposed trim, and our paint…well, it’s also starting to chip. Up next, install faux leaded glass…and choose a NEW paint color! With both of my kids are going out of town soon, and I’m planning to tackle this space once and for all with a more durable paint finish. 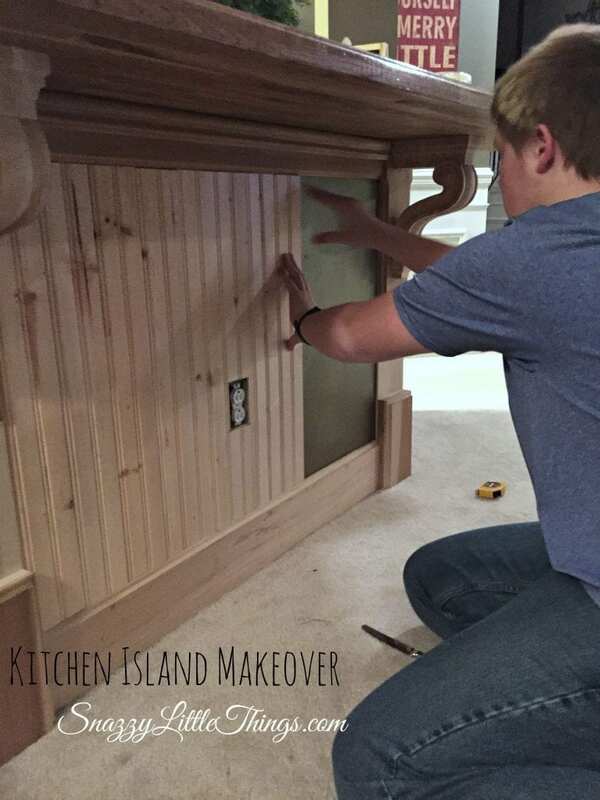 We also added beadboard to our kitchen island, which remains unfinished. 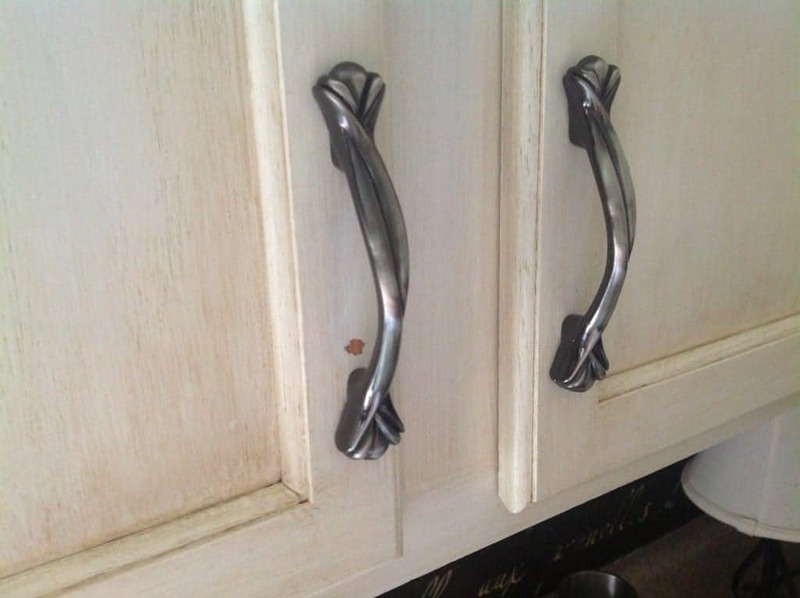 We stopped making improvements because of our budget, but we also halted the project to really think through how we wanted the kitchen to look. Did we like the white cabinets? A resounding “yes…we hated the orangey oak”. 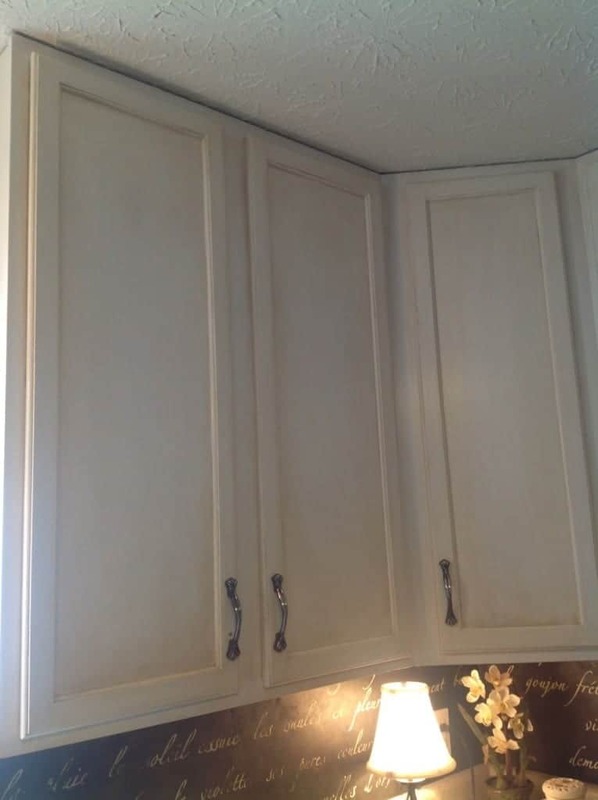 Do we want a different cabinet color on the botton versus the top? Not sure. First off, the Rustoleum Cabinet Transformation began to chip. Bummer, right? I also see a lot of brush strokes in the paint, and I long for a smoother finish. 7) Commit to an island design. We already have the corbels. Thanks for your cheers of support along the way! Look for a brand new “after” in the coming weeks! I’m so glad you posted this! I’ve been considering using this product but the reason I would use it is because I want a smooth , clean, UNCHIPPY finish! Chalk paint and milk paint are my other two options. 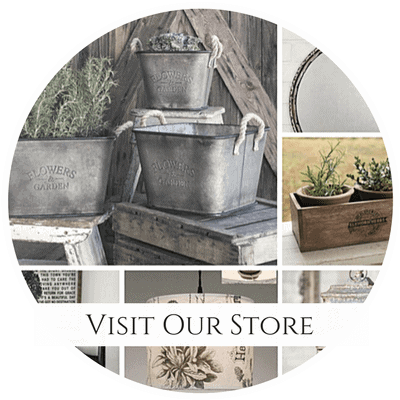 Leaning toward milk paint… why do you say AS chalk paint is better than the others? Very interested in that point. Hi Anne, so happy you stopped by here, and glad I saved someone a step. I worked SO hard blending the Rustoleum paint and glaze too. This initial job was a long one, and a lot of stopping and starting again. But in the end I wish I could say it was worth it. No matter how hard I tried, lots of brush strokes and the glaze was clunky to work with. If there is another paint that you think would do a better job, I AM ALL EARS. I don’t want to do this again if I don’t have to…and….I say ASCP is the best only because I’m experienced with it. Let me in on the secret! I have a Saturday painting party with some girlfriends and they are going to the stockist to buy some AS who also sells milk paint. Maybe I will experiment! I haven’t used any kind of chalk paint yet, but this stuff sounded pretty good! That’s a great article, thank you…food for thought definitely on the cabinets. 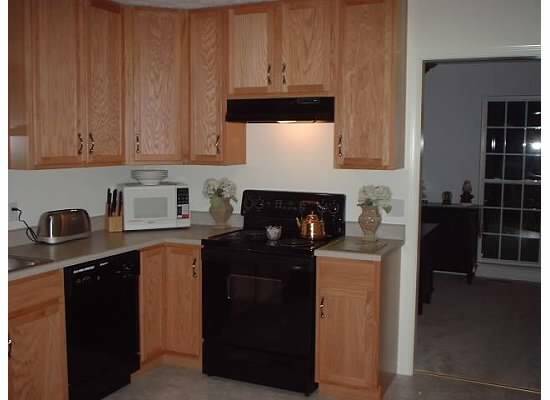 I have seen people using a poly over the cabinets once waxed, too. I will post more in the future now that I can focus on the cabinets again, will need to decide how to tackle the waxing step. Thanks for visiting and leaving your kind comment about our front porch! 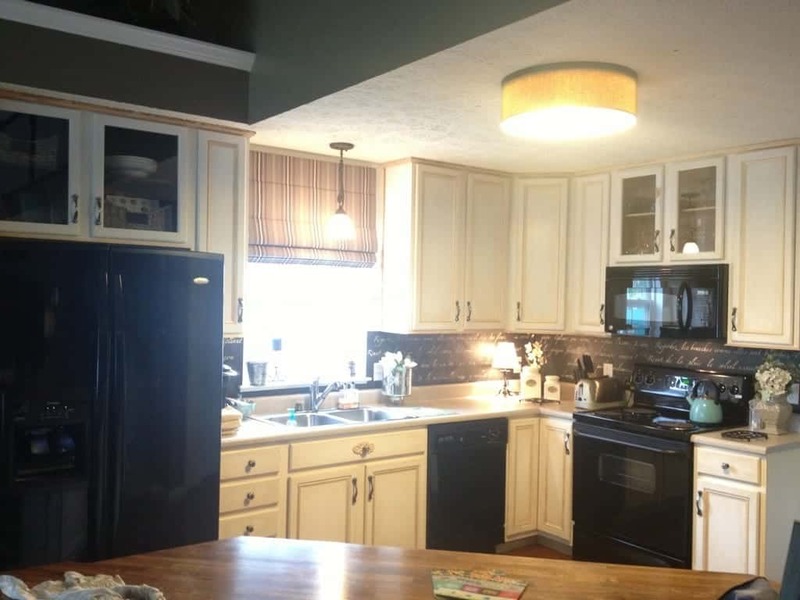 Your kitchen remodel is amazing. 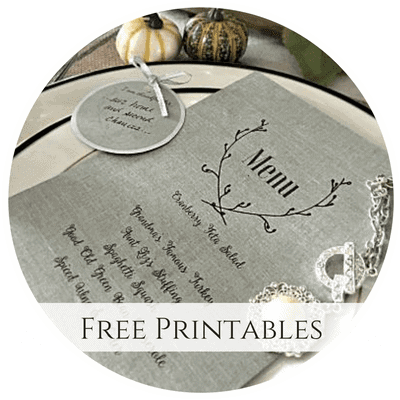 I remember sharing your stenciled backsplash a few months ago. 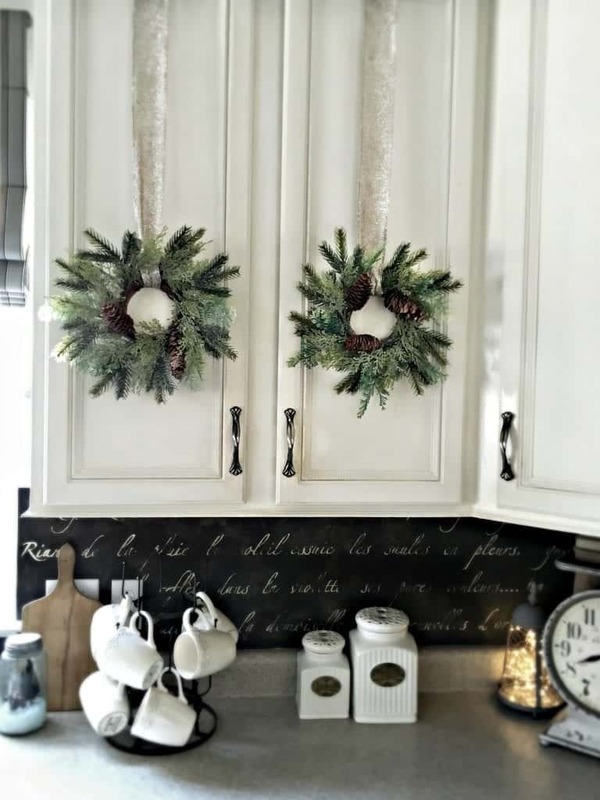 I still love it as it makes your kitchen so unique! 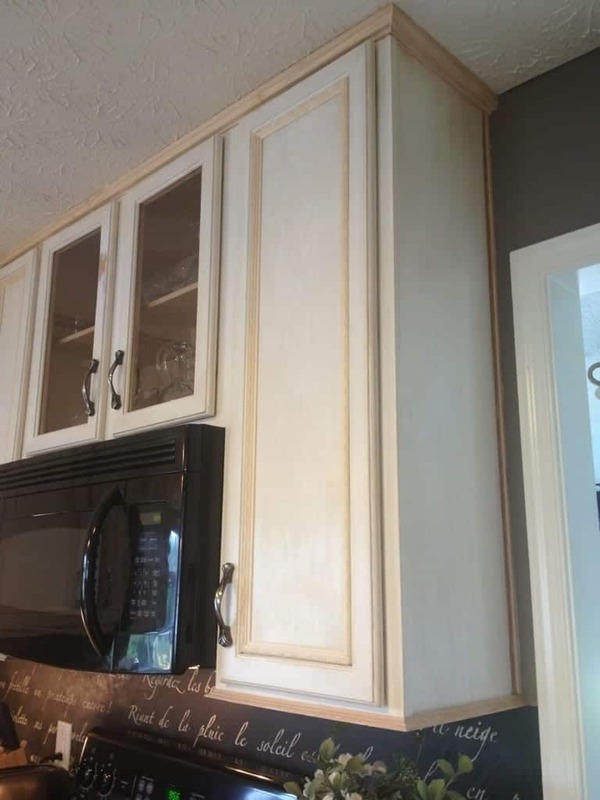 It’s too bad that you have to repaint your cabinets but I think you’ll really like them done in AS paint. 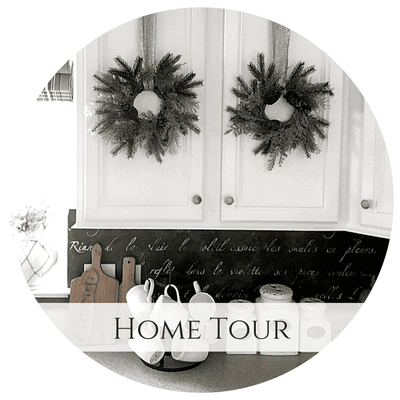 Thanks so much for visiting and sharing my kitchen! 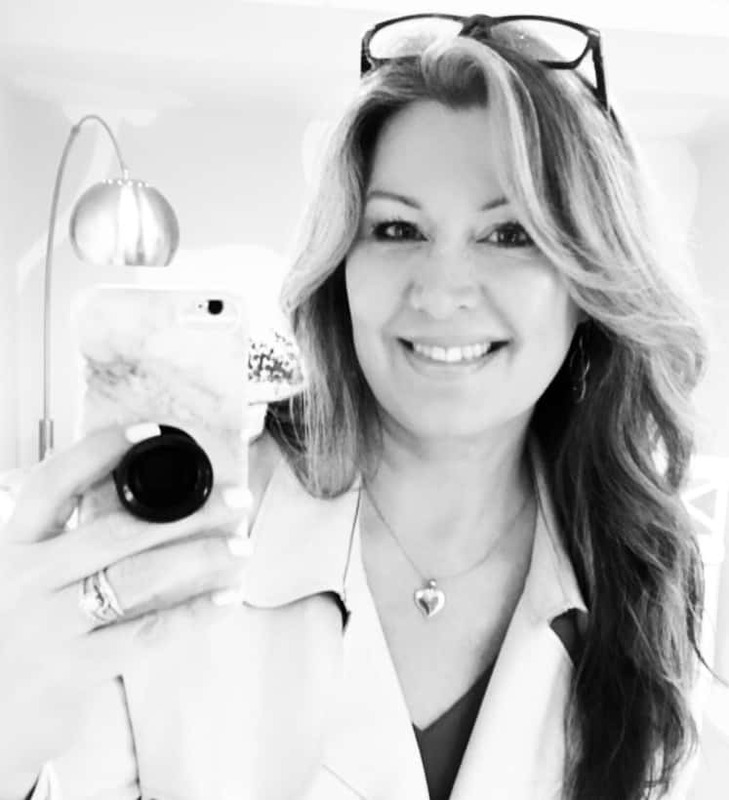 I love your crafts and your style, I do follow along and pop into your blog now and again. 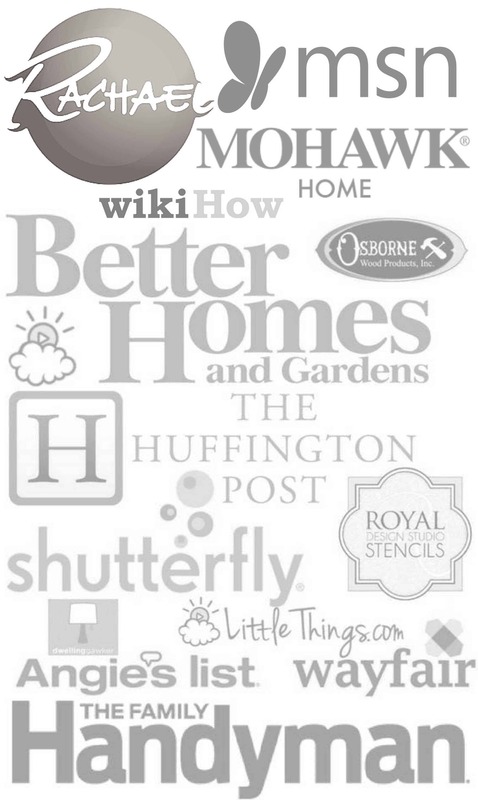 Happy to be blogging alongside good company.